Hey all! It's Alex the intern again. 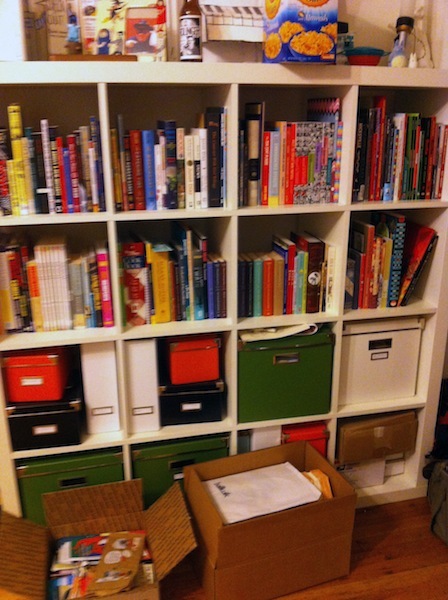 This week I took on the arduous task of alphabetizing and cataloging all of Beth's comic books (and some book-books too). In case you were wondering, yes, it is exceedingly difficult to shelve comics when you can't stop reading them long enough to put them in order. I blame Beth for having such an excellent collection. 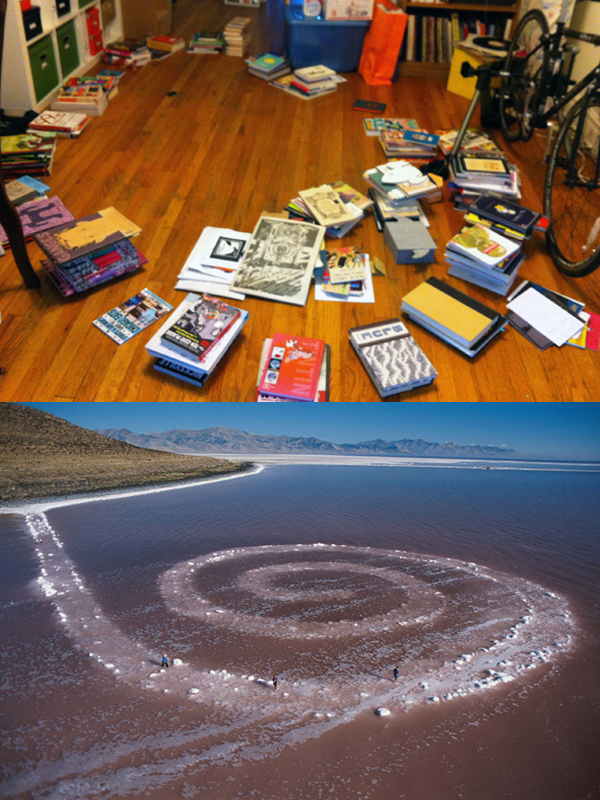 As I'm sure you all know, the first step to organizing your comics collection is laying them all on the floor in standard Spiral Jetty formation. This allows the books to breathe, get acquainted with their new book neighbors, and contemplate the meaning of cartooning in this temporal spiral of life. 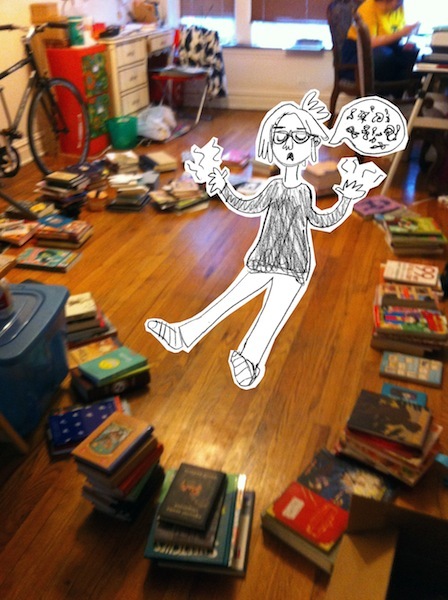 There was still some organizing left to do, so I arranged the books in a circle and held a séance to summon comics wizard, Alan Moore, to aid me in my task. After a few hours of chanting with no response from Moore, I began to doubt his legitimacy as a warlock. Some online sleuthing on credible source, Yahoo Answers, revealed I wasn't the only one with doubts. 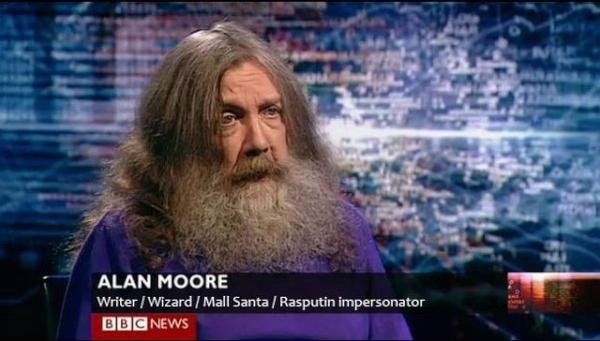 It seems he's up to more than just wizardry. Moore's status as magical being aside, I was able to successfully arrange all the books back onto the shelf from which they came. Take your time admiring my handiwork, forever immortalized in this cell phone pic.